As a fun challenge, I was asked by Compass, a new online real-estate platform, to design my dream closet. 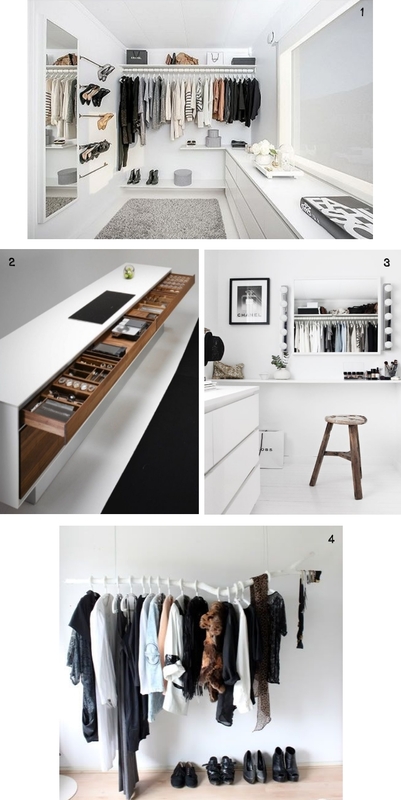 My current closet is in somewhat of a disarray, so I immediately gravitated to the sleek and minimal style of Norwegian artist, Nina Holst's, gorgeous walk-in as a starting point. 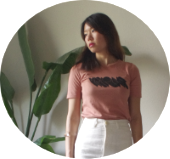 I've always been intrigued by the idea of a capsule wardrobe and being able to maintain a space that would really test my discipline in purchases. To offset the cold feel of an all white closet, I would bring in natural elements for that added warmth. For example, I would switch out the white Ikea dresser for the gorgeous wood-paneled statement piece by Team7. All those compartments would make the perfect storage solution for hiding my knick knacks and sweaters. My dream closet would also be spacious enough to hang a couple of painted branch clothing racks inspired by the DIY-queen of minimalism, Love Aesthetics, for that boutique feel. No closet would be complete without accessories. 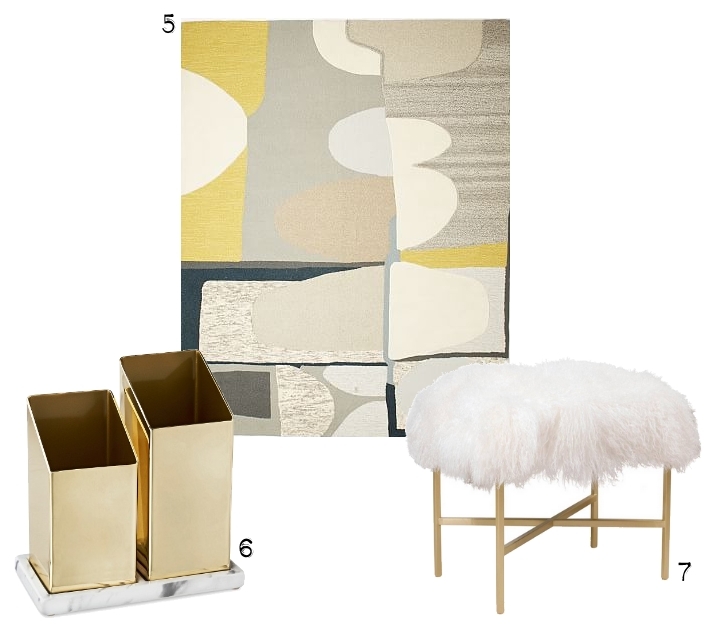 I would bring in texture with a furry stool, add some classy bling with this brass and marble brush holder, and finally tie everything in with this modern abstract rug that doubles as an art piece. oh myyy that's dreamy minimalism! I have a closet/room in my home and it's almost time for it to get a new paint job...I'm thinking of using some of this as inspo!